Bay Area Enterprises is a non-profit corporation that provides assessment, training and employment of people with disabilities in various capacities. Our employees work in janitorial services, at the Charleston drawbridge and in supported employment. 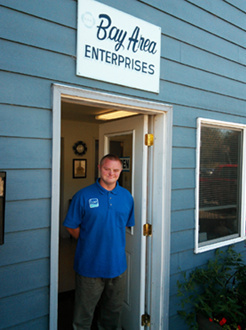 The mission of Bay Area Enterprises is to assist individuals with disabilities achieve maximum independence by developing their abilities to find inclusive, meaningful employment.